There are 1 cat videos tagged with oriental-shorthair. 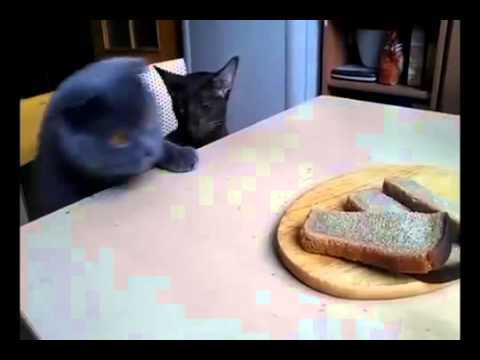 A pair of cats decide that the bread sitting out on the table probably belongs to them. At first, only the blue Scottish Fold is bold enough to go for the slices of bread but eventually the black Oriental cat joins in. The cats never do get their carb fix.